Great book for writers, poets, artists, musicians, and all in the creative arts. 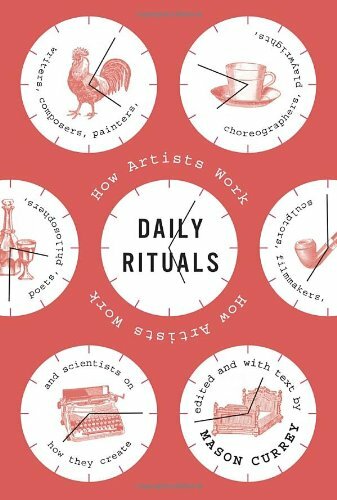 The book is full of daily vignettes of creative people and their schedules. 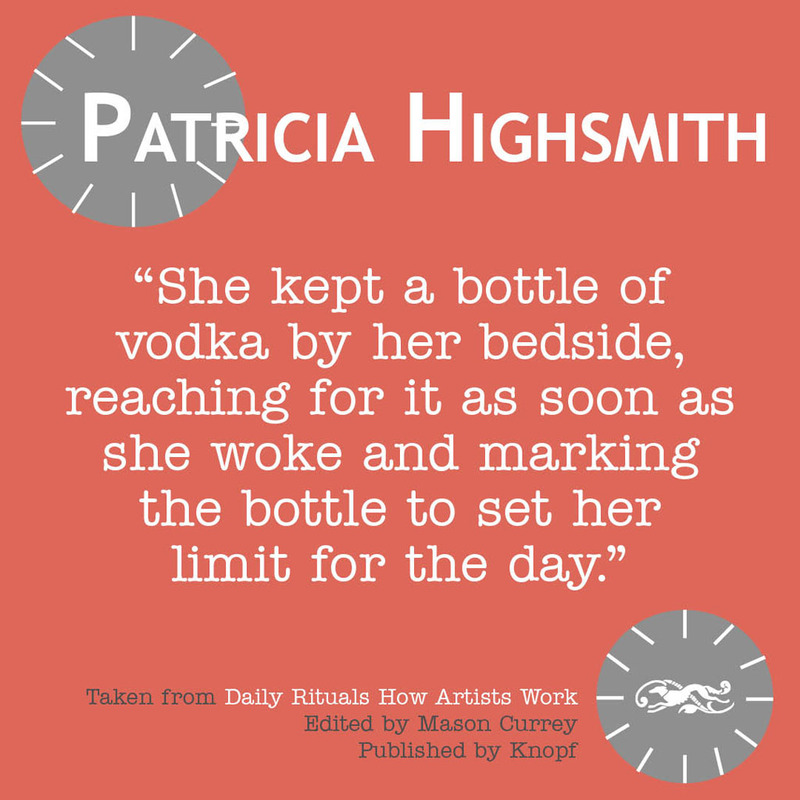 What I've noticed-- there's an awful lot of writers & creatives who have servants or maids to serve them food or wake them up precisely at 5 am. A lot of creatives use both uppers and downers, drink a lot or use alcohol to write. Many have very specific schedules and many either write in the morning or very late at night. Habits seem important and definitely sticking to their self-created schedule. I was surprised to learn Joseph Cornell lived with his mother and Proust (I think!) had 1 or 2 croissants and strong coffee every morning and not much else (he also had someone bring them to him when he rang a bell). Funniest routine is Gertrude Stein going into the country with Alice B. Toklas to watch a cow. If the cow did not inspired Stein, Toklas would get up hit the cow with a stick until it moved and bring in a second cow for Stein to be inspired by. The book has SO many artists, writers, poets, musicians, etc. in this book from Plath to Kafka, Gershwin to Picasso. Read the full summary on Amazon here. I'm listening to the audiobook version and loving it.